is happening on the 6th of June - a mere month away. The theme is just lovely - Recapture: Bring new meaning to your photographs. I'm organising the Durban party and I can't wait to host the event. Be sure to book your tickets asap as they are selling out really fast. 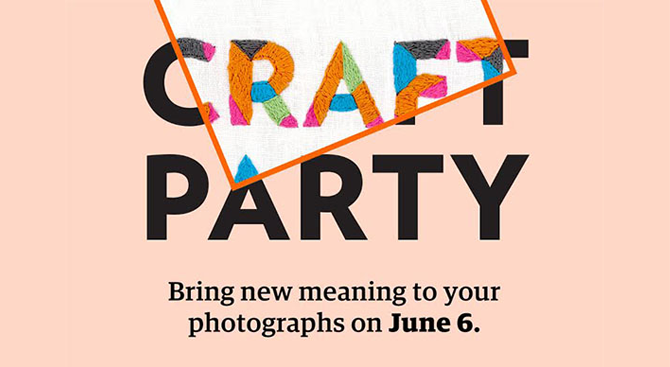 "What is Craft Party? Every year, people from around the world come together on the same day in locally organized Etsy Craft Parties to create art and inspire each other. In 2013, more than 11,000 people took part in Craft Parties in locations across the globe." Last year we had an awesome time and the party was well attended and the sponsors where incredible and included Washi Bug, In Good Company and of course Etsy! Just click here to take a look. To book your tickets and read more about what to bring - just click here. One thing that I will ask is that you only reserve a ticket if you can actually attend. The event is exceptionally popular so it helps me and the team to cater for actual number. To become a sponsor of goodie bag items or a giveaway - email me. I am also looking for a photographer who would like to capture the event. Or you can become a party planning committee member - there are five places available. Just email me to join in. Sounds so lovely, wish I could have joined you! Nadia, do you know whether there's one taking place in Jo'burg?